MANILA, Philippines — Fast food giant Jollibee Foods Corporations (JFC) opened its first store in Guam on Saturday. According to Jollibee, its Guam store is part of the company’s accelerated global expansion plans in a bid to join the “Top 5 restaurant companies” in the world. “The standalone Jollibee store seats 205 and it’s in front of Micronesia Mall in Dededo, the most populous village in Guam,” Jollibee said. “An estimate of over 1,000 enthusiastic fans lined up with some queuing for 12 hours to celebrate the first day of Jollibee’s Guam store,” it said. According to Jollibee, the Guam store is its 38th store in the United States territory. Meanwhile, Dennis Flores, president and head of the company’s international business across Europe, Middle East, Asia and Australia, said that he was amazed by the support of the residents in Guam during the branch opening. “It was so fun to see such a diverse, eclectic group of people who call Guam home queueing up to enjoy our offerings and to experience the joy of eating delicious food together,” he said. The fast food giant recently announced its accelerated North American expansion plan, which includes growing to 150 locations in the US and 100 in Canada for the next five years. Consistency and creativity combined are the keys to the future. The novelist Norman Mailer once wrote, “There was that law of life, so cruel and so just, that one must grow or else pay more for remaining the same.” Entrepreneurs can confirm that this law applies to business as well. For food kiosk pioneer Potato Corner, the willingness to innovate began with the product itself. In 1992, they opened their first outlet and introduced the country to the now-famous flavored French fries. The fries were a hit, and soon after, Potato Corner opened their business to franchising. One reason for the company’s growth is the management’s insistence on the quality and consistency of their products. “I’m a very hands-on type of person and manager. I tell my staff [that] the way of cooking, the way of serving, it has to be the right way,” says Gonzales. Innovations like ventless frying, larger servings, and the launch of concept outlets have helped the company weather tough times and establish themselves as an industry leader. With their commitment to quality and their willingness to adapt and take risks, the future certainly looks bright for Potato Corner. 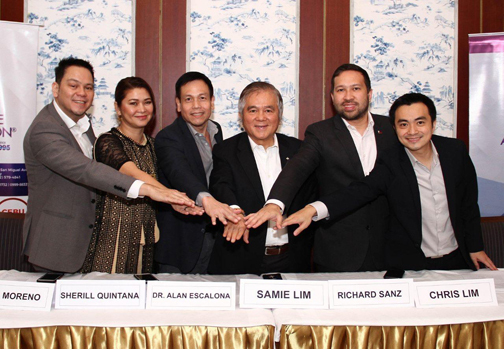 Philippine Seven Corp., the exclusive local licensee of convenience store chain 7-Eleven, continues to expand its franchise operations in the Mindanao region with the opening of its first store in Samal Island. The new outlet, franchised by Jonathan Santos, is located along Babak-Camudmud Rd., Igacos, Davao del Norte. PSC said that apart from the Samal Babak outlet, it was also eyeing to open two more stores in other trade areas in Samal this year, namely Wharf and Peñaplata. Samal is part of the Metropolitan Davao area and is two kilometers away from Davao City, the largest city and the primary economic center of Mindanao. PSC operates a total of 220 stores in Mindanao, with 144 franchise-owned and 76 corporate-owned outlets. 7-Eleven offers suitable partners two ways to benefit from a proven system: Regular New Store Franchise (open a new 7-Eleven store), and Property Conversion (convert an established business or properties into a 7-Eleven franchise). Shares in SPAVI jumped 1.95% or 24 centavos to close at P12.54 each at the stock exchange on Wednesday. Bryan Tiu, president and chief executive officer of IFoods Group Inc. and also the man behind the success of Peri-Peri, tells entrepreneurs to embrace flexibility to weather challenges that come their way due to rising competition, changing market demands or increasing operations costs. Tiu, who failed in his first entrepreneurial venture, has established 23 branches of the charcoal grilled chicken restaurant, his own brand name, all over the country and looks forward to adding more. But before reaping success, Tui experienced failures. In 1996, Tiu, who was then 18 years old, opened a sub franchise with a major pizza brand. However, his small business ran right into the center of the Asian financial crisis. “My first business venture ran into a bad timing,” Tiu said in a recent interview with the media during the opening of Peri-Peri’s 23rd branch in McKinley Hill. After his initial setback, Tiu picked up the pieces and opened a Teriyaki Boy franchise in 2001 until 2005, when he had to discontinue the business since Pancake House has acquired Teriyaki Boy. IFoods is a 14-year-old company that develops local food brands for the mainstream market. Peri-Peri is the flagship of the group. Starting with a single store at the Podium in 2005, Peri-Peri has a total of 23 stores in 2018. He added that 2018 has been an awesome year for the brand. “Right now, we are 23 and growing. We have grown so much as a brand, and we will only keep growing in the coming years. Our success story is a strong testament to the trust and love the public has for Peri-Peri,” Tiu said. “We will be aiming for the opening of 10 more stores in 2019. When we hit 23, the mall owners invited us,” Tiu added. Tiu said the ideal ratio is 50-50 between company and franchise owned. Since opening its doors in 2005, the restaurant has enjoyed consistent growth as it established itself as the go-to place for Charcoal Grilled Chicken, BBQ Back Ribs, and unique, character-filled sauces. ABS-CBN talent Enchong Dee is one of the franchisees of Peri-Peri. He is also the endorser. “Peri-Peri is such an easy place to get lost in. There’s the satisfaction of eating great-tasting food, the upbeat energy that grabs you the moment you step inside and the passionate colors that entice you—these things create such a distinct atmosphere,” he said. “I hope that in the coming years, we will continue to grow and excite more taste buds, the way only Peri-Peri can,” he added. Moreover, Dee’s love for the brand truly runs deep, as the actor is also a Peri-Peri franchisee of UP Town Center, Market Market and SM Megamall branches. Tiu said the mall boom is also a growth driver for Peri-Peri as some of them expressed interest to invite Peri-Peri to open a store there. Despite the entry of foreign players in the country, Tiu remains confident that Peri-Peri can withstand the competition. “I guess being a local brand, it is easier to understand the market,” Tiu pointed out. “The millennials are very conscious on the price and become picky in their hangouts,” he said. Peri-Peri currently has branches in Nuvali Solenad 3; Alabang Town Center; Uptown Mall BGC; Greenbelt 3; Eastwood Mall; Capitol Commons; Megamall B; Promenade Greenhills; Evia Lifestyle Center, Las Piñas; Gateway Araneta Center; UP Town Center; Trinoma Mall; SM City Bacolod; Meerea High Street Mandaue, Cebu; Robinsons Manila, Brittany Square, Fairview; Ayala Feliz, Marikina; SM Marikina; Festival Mall, Alabang; Market Market, BGC; Banaue, Quezon City and Resorts World Manila. The franchise fee is P1.2 million. Total cost for the construction of the store is P12 million. PLAYZone. The flagship store features an interactive PLAYZone to host events and sports clinics on a regular basis. It also doubles as a basketball court, which utilizes a professional-grade basketball shooting machine, where people can hone their shooting skills. Prizes will be given out regularly to top scorers in the Toby’s Shoout game. SEAOIL Philippines was cited by the Asean Business Awards (ABA) for outstanding performance and presence in the Asean Economic Community Priority Integration Sector-Energy. Seaoil Philippines CEO Glenn Yu recently accepted the award during ABA awarding ceremonies in Singapore. Seaoil fulfilled all of the awards’ eligibility requirements, as well as distinguishing itself for its integration and connectivity among Asean businesses. “Backed by 40 years of excellence as one of the largest Filipino companies providing high-quality petroleum products, Seaoil Philippines definitely deserves the recognition from the Asean Business Awards. We congratulate the longtime supporter and advocacy partner of Go Negosyo, Glenn Yu and Seaoil Philippines for winning the award under the Priority Integration Sector for Energy category,” said Joey Concepcion, chairman of the Asean Business Advisory Council Philippines. The Asean-BAC selects a strategic partner every year to ensure the quality and independency of the awards. Global professional services firm EY served as this year’s partner and aided in the shortlisting of nominees, criteria-setting, selection of judges and implementation of the ABA framework. ABA has recognized over 100 companies in the Asean since its inception in 2007 for excellence in the following categories: growth, employment, innovation and corporate social responsibility. ABA added the Priority Integration Sectors category of the awards in 2015. The Philippines had over 100 ABA aspirants this year. The country won 8 out of the 21 awards. Seaoil is the leading independent fuel provider in the Philippines with over 400 retail stations and a network of supply depots strategically placed throughout the country.